Surely there are lots of trendy iPod docks but none of them harnesses green energy like the dock you see here. This dock was designed by Stefanie Koehler, who though about creating a device that would suit not only those hungry for originally but the eco-conscious people as well. 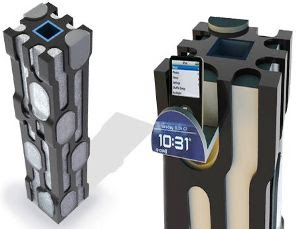 The WaveTower, designed by Stefanie, is a speaker that makes use of water to power the iPod. The device features a fuel cell running on water. 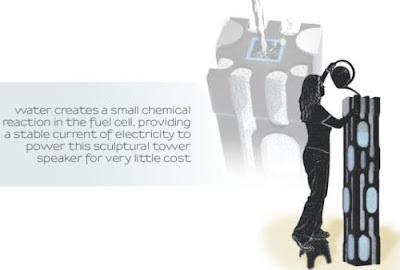 When you add water a chemical reaction takes place inside the fuel cell, generating a stable current which in its turn powers the WaveTower.